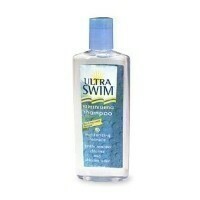 ACCESSORIES > Skin & Hair Care Products > ULTRA SWIM CONDITIONER 7oz. CHATTEM INC. ULTRA SWIM CONDITIONER 7oz. UltraSwim Ultra Repair Conditioner delivers the extra moisture chlorine exposed hair needs. This deep conditioner restores moisture, detangles and repairs split ends-leaving hair shiny and frizz free.